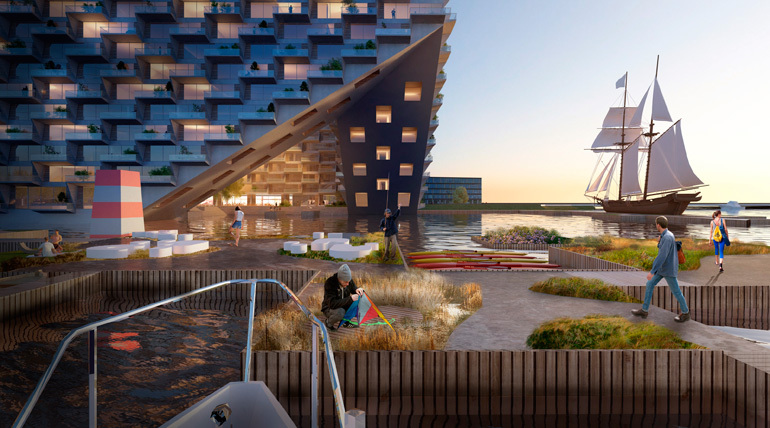 The 46,000 m2 mixed-use building named Sluishuis will create a landmark in the emerging neighborhood of IJburg, bridging the new urban district to the harbor areas near Amsterdam’s historic city center. 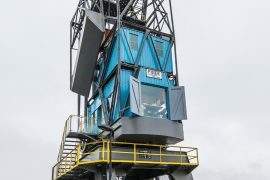 The City of Amsterdam has selected a team led by VORM/BESIX to develop the iconic Sluishuis in IJburg Steigereiland, an emerging urban district in the Dutch capital. The four finalists of the two-phase competition have been refining their designs since April 2016. 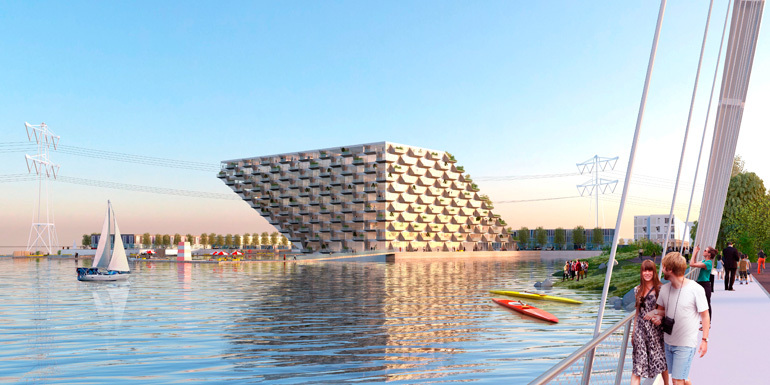 The winning proposal was designed by BIG – Bjarke Ingels Group, in collaboration with BARCODE Architects. 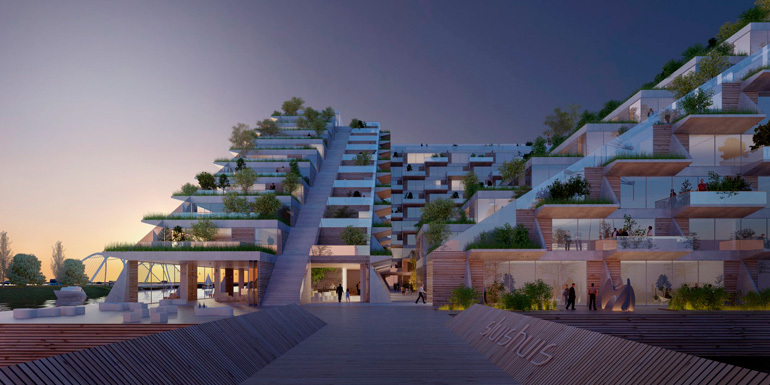 Sluishuis will be the centerpiece of the IJburg neighborhood, offering 380 zero-energy residences, approximately 4,000 m2 of commercial and common areas, 240 underground parking spaces, and a comprehensive water-quality program with space for up to 30 houseboats. 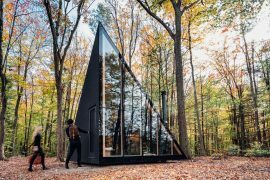 Located between the dense city and the vast landscapes on the edge of Amsterdam, the new Sluishuis is shaped by its complex surroundings, at once close to large infrastructure and to small-scale urban settlements. The classical courtyard building is revitalized by two transformations; it fully embraces the idea of living on the water and appears different from every vantage point. 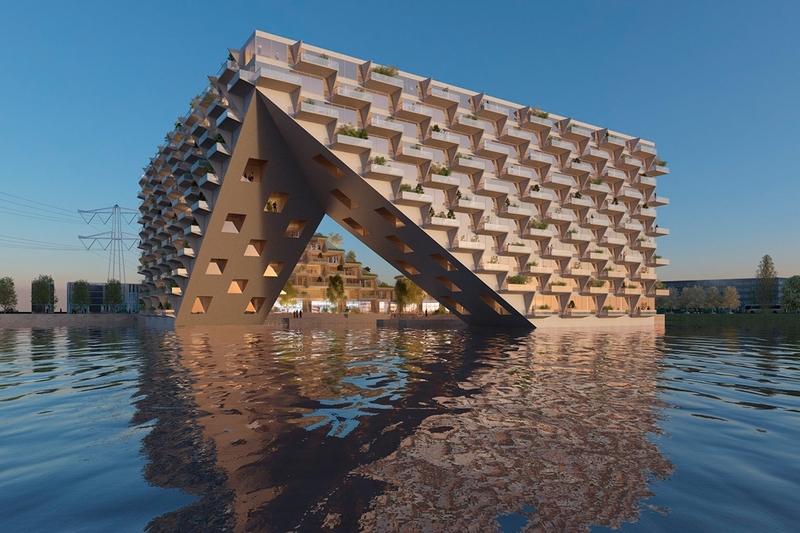 Toward the water, the block is lifted up, forming a large opening that brings water from the IJ Lake into the courtyard and brings daylight and views to the complex’s inner apartments. 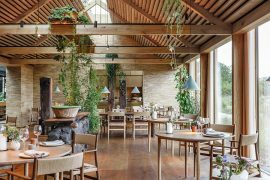 Toward the neighboring urban district, the block steps down like a cascade of landscaped terraces, creating a natural transition from cityscape to smaller-scale, natural surroundings. 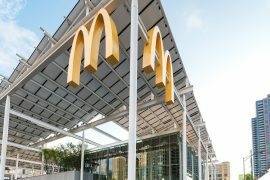 ‘Having spent my formative years as an architect in Holland at the end of the 20th century, it feels like a homecoming to now get to contribute to the architecture of the city that I have loved and admired for so long. Our Sluishuis is conceived as a city block of downtown Amsterdam floating in the IJ Lake, complete with all aspects of city life. Towards the city, the courtyard building kneels down to invite visitors to climb its roof and enjoy the panoramic view of the new neighborhoods on the IJ. Toward the water, the building rises from the river, opening a gigantic gate for ships to enter and dock in the port/yard. 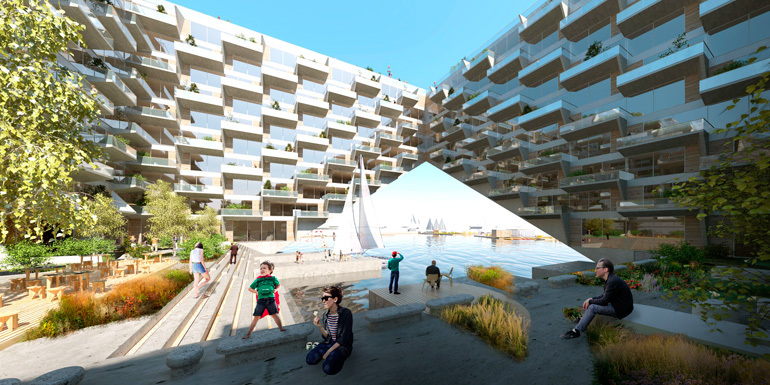 A building inside the port, with a port inside the building.’ Bjarke Ingels, Founding Partner, BIG. A promenade with public programs winds around the building and continues into the water, forming an archipelago of islands with houseboats, a sailing school, and floating gardens. A public passage climbs the cascading terraces of the building, serving as a small rooftop street that eventually loops onto the very top of the building to create a viewing platform over the IJ Lake. 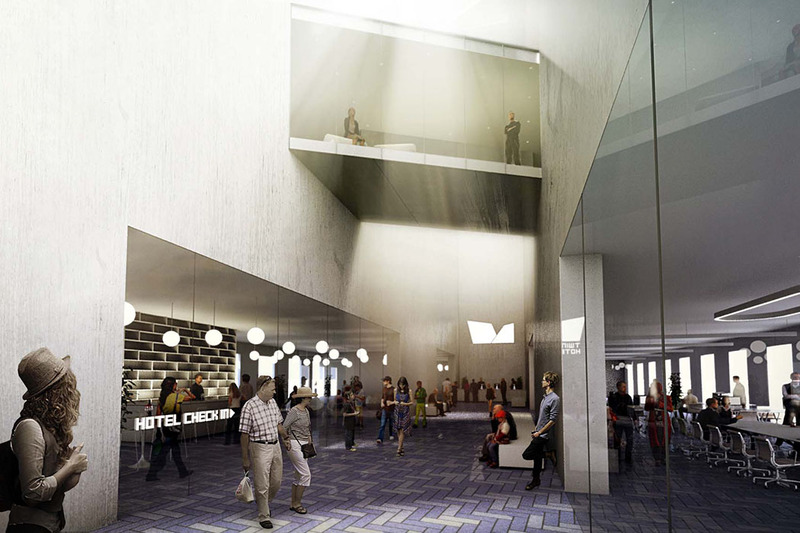 The passage will not only create a destination for visitors and neighbors but will connect the residential units to each other and create a unique three-dimensional community between the residents of the building. ‘The world-famous urban environment of Amsterdam was created by the fusion of water and city. The new Sluishuis is born of the same DNA, merging water and perimeter block and expanding the possibilities for urban lifeforms around the IJ.’ Andreas Klok Pedersen, Partner, BIG. The silhouette of Sluishuis will change as one moves around the building. 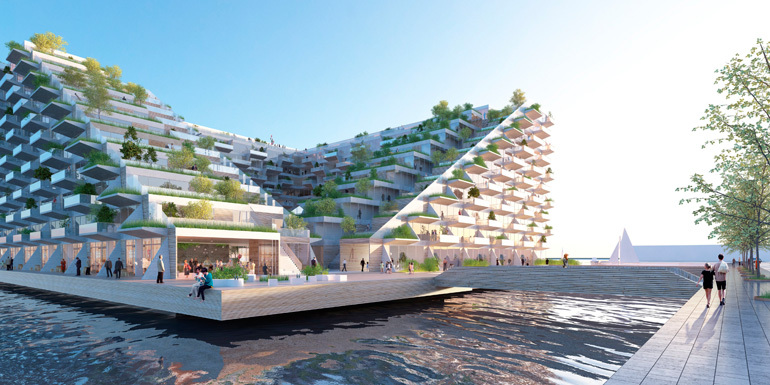 At one vantage point it appears as the bow of a ship that reflects the water below; at another a vertical green community that invites visitors to engage directly with it; and finally as a true urban block with street-access and city liveliness that is to be enjoyed by residents, neighbors, and the rest of Amsterdam. 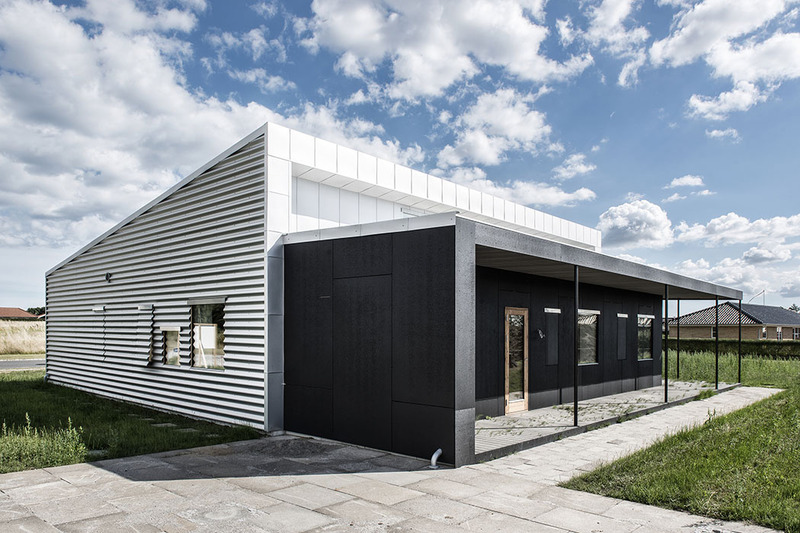 ‘We have tried to design a building with a surprisingly changing perspective and a unique contemporary character, which reflects the identity of the future residents and all users of Sluishuis.’ Dirk Peters, Partner, Barcode Architects. The ambitious sustainability parameters of the new Sluishuis design were emphasized by the jury’s awarding decision. 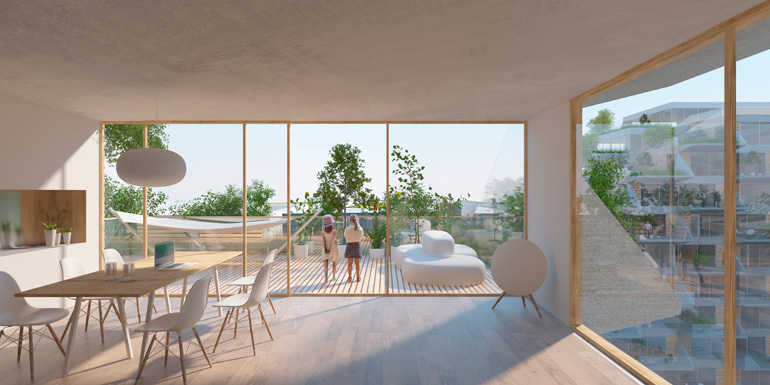 The residences will increase social sustainability in the new neighborhood by reducing environmental impact during the construction phase, limiting total CO2 emissions, and by using renewable resources throughout the building.